Type of seat: Fixed or Folding? There are two varieties available in the sun loungers that is folding and fixed one. If you have some space issue and you cannot place the seat all the time as it may block the passage then the folding can be the ideal one while in case you have a large garden and you can adjust them easily then it’s good to have fixed type that you can adjust at any place in your garden. The daybeds and sun loungers are quite comfortable you can use them to sleep while taking a sunbath, so choosing the right type can be best to relax in the bright sun. 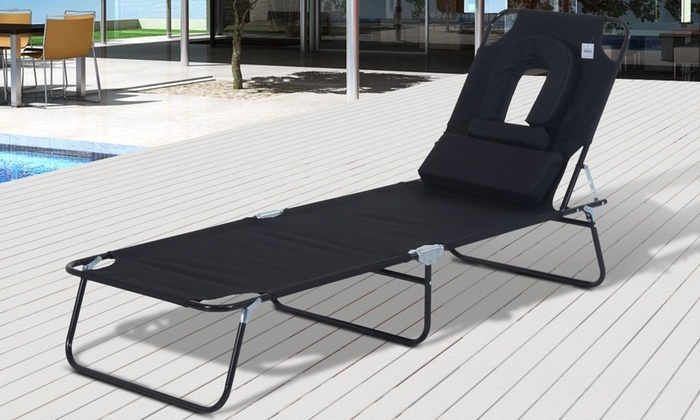 The sun loungers are available in a variety of materials like wood, fiber, metal or synthetic fibers. Mostly wood or fiber type material is preferable as they make the perfect combination with the garden outlook. Adjustable patio rattan chaise lounge is one of the best choices these days. Teak wood or acacia wood are the two main types of material used these days. These are the traditional yet decent type of chairs. Although these are expensive but require low maintenance. The other type is aluminum that has a long life because of less corrosive nature. You can choose the material wise according to your use. The synthetic fibers type is also durable. They look like the original type but made of polyethylene material. The best part is that these are weather resistant and does not damage quickly. You can place in sunlight or outside without any fear of fading its color or damage of the fibers. The last but not the least factor is the cost. If you have some extra budget then you can choose the wooden or rattan type luxury chairs while the aluminum type can be available at low cost. Don’t compromise on durability, especially if you are choosing the fixed type and have to place the lounger all the time in your lawn. It must have weather resistance properties therefore, spend some extra so that they remain in your lawn for years without getting any damage due to environmental factors. Select the best type of sun lounge to have a comfortable sunbath. Choose with some effort so that you can buy the product that perfectly matches according to the theme of your house and patio. In this way, the matching furniture, lush garden and a bright blue swimming pool all will create the persuading effect.